Now over half a century old, there is talk of renovating the Seattle Space Needle. It hosts over one million visitors a year eager to ride the elevator 520 feet up to the observation deck or to dine in the revolving restaurant. The details? 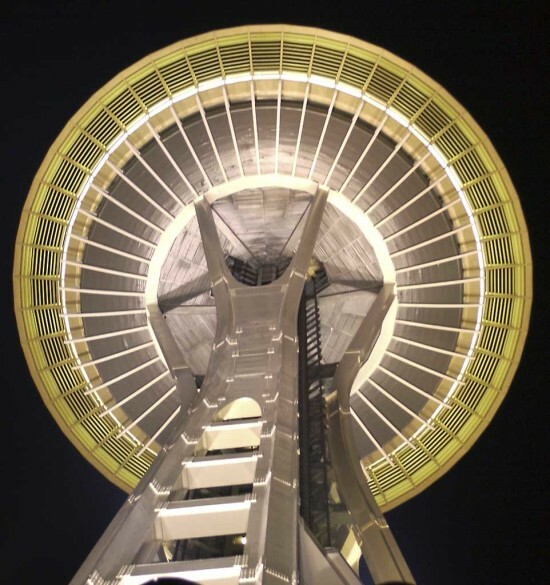 Space Needle owners are considering adding a glass floor to the restaurant so diners could see how the space rotates, reports The Puget Sound Business Journal. There are also other ideas: two-story elevators, bringing in more glass for the observation deck for better views, an interior refresh, and repainting. A local Seattle-based firm, Olson Kundig, is reportedly part of the team designing the upgrades. Given the importance of the building (and the Seattle process) many of these proposed changes could be several years out. The Architectural Review Committee must first give the green light, before these ideas could move forward.